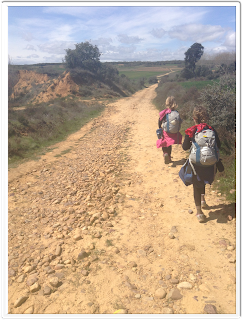 Camino de Santiago 2013: Day Twenty-Eight: Villar de Mazarife to Astorga. April 9, 2013. Day Twenty-Eight: Villar de Mazarife to Astorga. April 9, 2013. 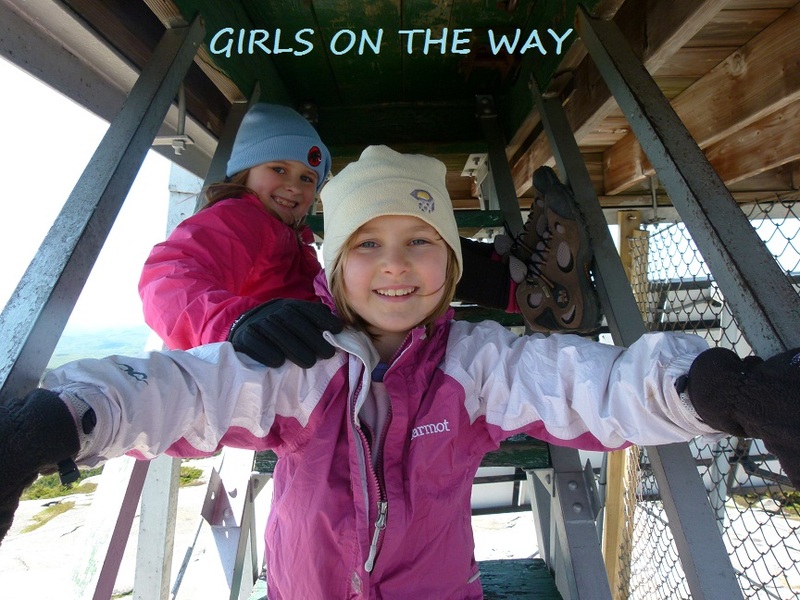 Distance: 19.4 miles (31.2 kilometers) with about 800 feet of elevation gain (250 meters). Today was long, strenuous, and wonderful. First, a note about last night. Unfortunately, the noise of the bar did carry upstairs into the bedrooms at Tio Pepe. I didn't notice that, however, until I took out my earplugs to go to the bathroom around 1:30 in the morning. The bar supposedly closes at 10:30, but the noise went on well into the early morning. However, again, I didn't notice the loud talking until I took out my earplugs. The moral of the story is, therefore, to stay at Tio Pepe's (extremely sweet hospitalera and good food) but wear your earplugs when you go to bed so the noise from the bar doesn't wake you up. We began our day not knowing where we'd end up. 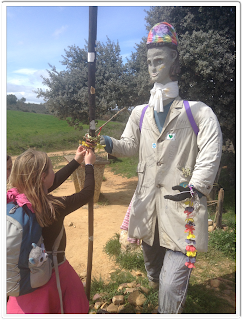 Sage was adamant about doing the entire 19.4 miles to Astorga (chocolate capital of Spain...need I say more? ), but we figured we'd see how far we could get without completely wiping ourselves out. Turns out we did make it to Astorga...the girls did well but I am passing out as I type...think I need to sign off and continue this first thing tomorrow morning. Back to describing our journey to Astorga. We lucked out with the weather. No rain...though it was fairly windy in the morning so we had to fight through some in-your-face breezes for the first couple of hours. That's the thing about the Camino...the path itself is tame compared to White Mountain trails, but there is almost never any shelter from the elements. There is no ducking into the trees to get out of the wind or rain...you're going to feel whatever is going on with the weather that day full force because you are almost always totally exposed. In that sense, hiking here is actually more difficult than hiking in the Whites. If it's windy or raining, then you're getting it 100 percent all day long. There are almost never any trees to protect you. ...to the longest and best preserved medieval bridge in Spain (13th century), Paso Honroso. According to my Brierley guidebook, a famous jousting tournament took place here in 1434. 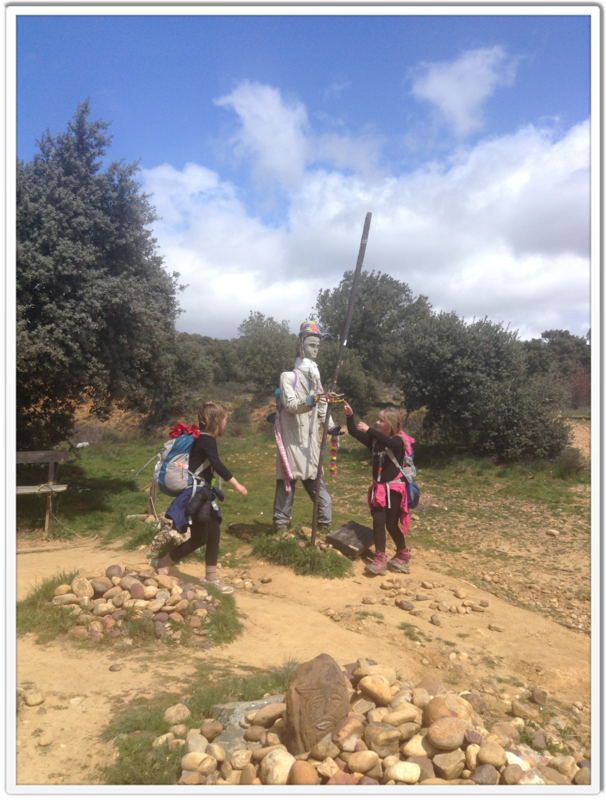 A knight from Leon, Don Suero de Quinones, refused to allow any other knight to pass. He had been "scorned by a beautiful lady" and therefore his honor had been damaged...he decided to restore his honor by challenging anyone who wanted to cross the bridge. Knights came from all over Europe to test their skills against Don Suero...Don Suero successfully defended the bridge for a month and broke over 300 lances. That was apparently enough to raise his reputation back up to his pre-scorned level. Love was complicated back in 1434. Hospital is a good-sized pilgrim town and it appears to be a popular stop, but we had our sights set on a different destination. Once through Hospital, one can choose to walk the senda (path alongside a road) or go through the country. We prefer the country, so we headed toward the small towns of Villares de Orbigo and Santibanez de Valdeiglesia. We stopped at the Bar Piris in Villares de Orbigo for a small snack and to assess how we felt. The last albergue before Astorga is in the next town, a mile and a half away (also, there is an excellent albergue in Villares de Orbigo itself). It was noon - at this point, we had walked over eleven miles in four hours. It was eight more miles to Astorga. Both girls said they felt fine and wanted to go the distance -- Sage was adamant...it's amazing how the promise of visiting a chocolate museum can motivate a young child. Since no one had any aches or pains, we decided to go for it...and we agreed to take the next day off so we'd have time to play tourist (and recover). The Way between Santibanez de Valdeiglesia and Astorga is beautiful. We had rolling hills, vibrantly green grass, and trees(!). Alex securely fastened one of her ribbons to one of the fellow's fingers and I wedged a hotel key card in between his hand and staff. 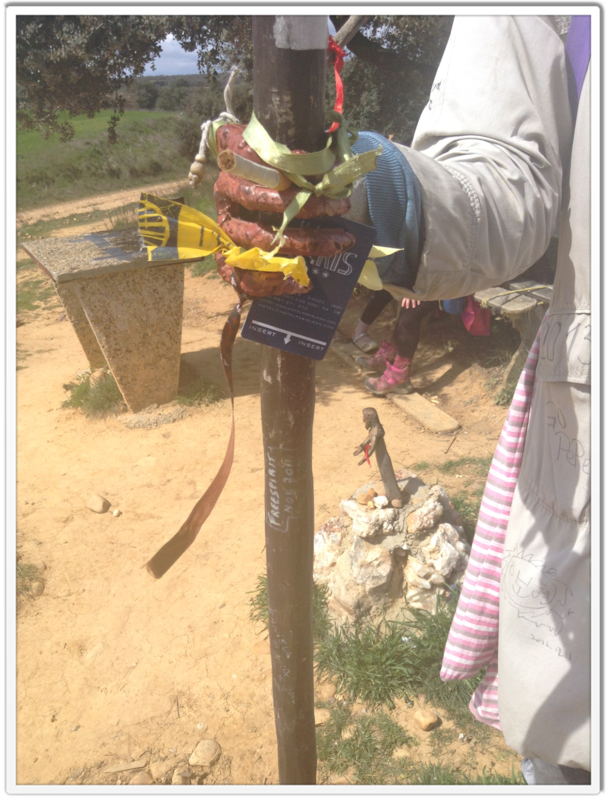 Near the crest of the final hill stands an amazing contribution to the Camino. There's an old building to the right, with a small shelter built in front of it. A man named David has lived in that shelter year-round for four years - he offers free food and drink to passing pilgrims. He calls his home La Casa de Los Dioses (The House of the Gods). There is a donativo box on a small table for voluntary contributions. David was amazing. He had peanut butter! He offered it to the girls once he knew we were American. Their faces lit up - we haven't had peanut butter since we left the States. We stood and talked with David and his friend Natalia while we ate peanut butter on bread and admired our sellos (his stamp is a beautiful red heart). I put some Euros in the box before we continued on our way. He gave us all hugs as we left (except for shy Sage, who smiled but hid behind me). To Alex, he said, "Always remember that anything is possible. There can be peanut butter in the middle of nowhere in the country of Spain!" Thank you, David. You are one of the rare protectors of Peace and Light. 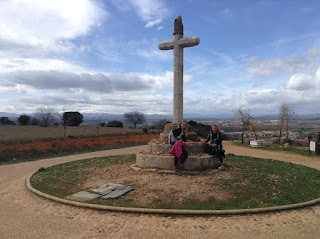 On the crest of the hill overlooking Astorga stands the Cruceiro Santo Toribio, a stone cross that, according to Brierley, commemorates the spot where a 5th century bishop fell to his knees after having been banished from Astorga. El Teleno, a mountain sacred to the Roman god Mars, towers nearby (I didn't get it in the photo below). Down the steep sidewalk we went, to San Justo de la Vega, on the outskirts of Astorga...all still felt good at this point. From here, it's only 1.7 miles to Astorga. We entered the city and were immediately accosted by a small but steep hill. Not cool, Astorga! We had all felt fine until this one tiny hill...this bugger felt like Mt. Washington on nails at the end of our 19.4 mile day. 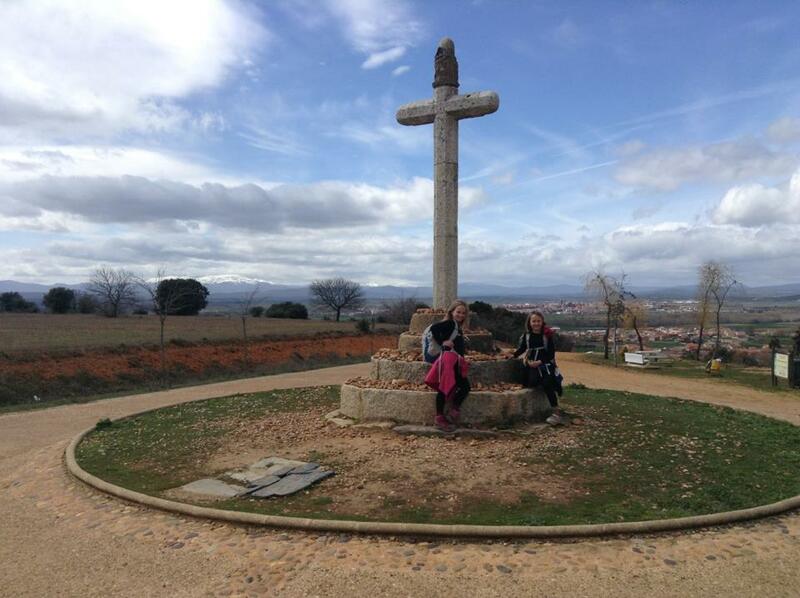 Once at the top of the hill, we found ourselves next to Roman baths and in the city of Astorga. At this point, we decided we needed to find a place to rest, pronto. Normally, we like to find an albergue/hostel in the center or toward the end of town so we can shorten the amount of walking required the next day. However, we were running on fumes and walking even one more block wasn't going to happen, at least not for me. Since we wanted to take a rest day, we sought a hotel that fit our budget. Hugh and I split costs whenever he's with us, which means I can now afford a bit more when I want to splurge for a private room. We headed toward the Hotel Spa, which is half a block past the Roman baths...that turned out to be out of our price range, but the kind receptionist directed us toward a nearby gorgeous hotel that was more economical...Astvr Plaza. We now have a huge room that could easily sleep four (the beds are roomy) for eighty-four Euros (this room would be at least two hundred dollars if we were in the States). The price includes a buffet breakfast with everything anyone could possibly want to eat. That takes me only seven Euros out of my personal budget for room and breakfast (since I'm now splitting everything 50/50 with Hugh). I normally would not be able to afford this. Time to wake up Hugh and get the kids - oh wait, here they are. I've been typing in the breakfast area of the hotel and my family just walked in. Time to eat and play tourist. Sage has had a small blister on the tip of her toe for a week and a half. She doesn't feel it when she hikes. I've been sticking duct tape on it...doesn't seem to do any harm and Sage says she feels fine. Alex had one small blister on the side of her foot that went away, now she has another on the side of her big toe (she got it yesterday). I'll stick duct tape over that one too. We don't want to pop or drain it...I know folks like to do that, but we prefer protecting the blisters with duct tape (which comes off by itself every evening) and airing out the feet every day after we reach our destination. Neither Alex nor Sage's feet bother them at all. I'll continue with the duct tape method as long as the blisters look healthy and clean. The big toe on my right foot has bothered me since Roncesvalles. It's slowly but surely getting worse. The pain is through the entire bone, all the way to the center of my foot. It doesn't hurt in the morning, but it kills at the end of the day if we've gone over twelve miles. It won't prevent me from reaching Santiago but it might need some medical attention when we return to the States. We met a nice woman from San Francisco - her name is Becky. She's the one who took our photo by the bridge. Becky stayed in this hotel last night too...she's here with us at breakfast this morning. She's a lovely woman and we enjoy speaking with her. She's also taking today off, so we'll probably see her about town. They say that the Camino provides, and David with his peanut butter and good conversation is proof. i enjoy reading your blog very much, and can't wait until I'm on The Way (dates TBD). Buen Camino from New Hampshire!